G.P. Putnam's Sons, 9780735218727, 224pp. This is almost a love story. But it's not as simple as that. But then we fast-forward a decade or so, to find that Ellis is married to Annie, and Michael is nowhere in sight. Which leads to the question: What happened in the years between? 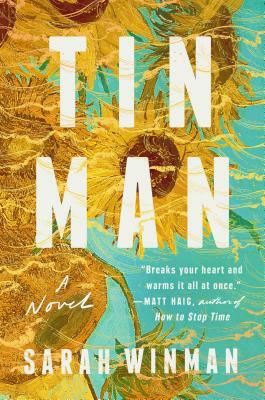 With beautiful prose and characters that are so real they jump off the page, Tin Man is a love letter to human kindness and friendship, and to loss and living. Sarah Winman is the author of two novels, When God Was a Rabbit and A Year of Marvelous Ways. She grew up in Essex and now lives in London. She attended the Webber Douglas Academy of Dramatic Art and went on to act in theatre, film, and television.